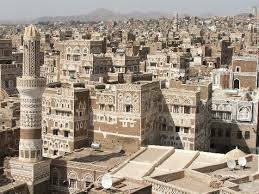 “Gidda” Amina Hitari of Aden, Yemen, mother of Eiman Siddik passed away around 5 pm Bangalore time on Friday December 26, 2014 – 5 Rabi Al Thaani 1436. She was 85 years old – She was the wife to “Giddoo” AbdulGafoor (who passed away a few years ago). She is survived by her daughters Kamela, Lutfia, Eiman (wife of Ismail Laher), Hanaa and her Son Kamal and their many children including Nadia, Rashad , Sarah, Sarah, Amer, Ahmed, Ayman, Hayel, Hannaa, Dunya, Tariq …. We humbly request Allah SWT through our prayers to accede to our request and make it easy for all of the family to accept this loss and remain strong and united in all the good that they do. We also humbly request Allah SWT to accept our prayers for forgiveness for the deceased for whatever transgressions that the deceased may have committed during their life.